Sorry for being away for awhile and the delay post, but I've got something to share with you! Last week I was invited to The Fitting Room Pop Up Store by Grana for their grand opening party. In fact, this is great for you who love affordable and high quality clothing. The team showed me (and other bloggers) their luxurious silk shirts, dresses, and sweaters. Plus, the softest Mongolian cashmeres that I just can't stop touching them! 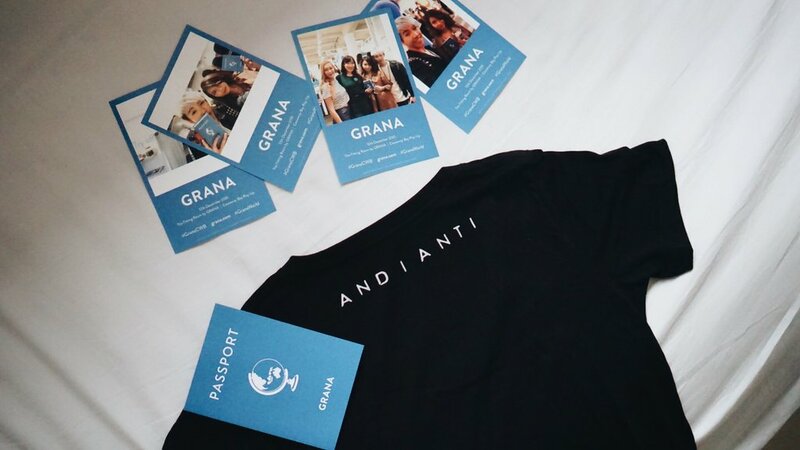 My favourite part is, I own a Grana t-shirt with my print name on the back! And I've been wearing that t-shirt a lot because the material is just very soft and very comfortable to wear. Wow, this pop up opening party looks wonderful. Each and everything looks superb. I also have been making plans for a promotional event for my online business and would like to book the best event venues Chicago for that. I am also collecting some nice ideas for my party.